to know Jesus, to love Jesus, and to serve Jesus. If you are traveling away from Saint Bridget’s this Summer check http://masstimes.org/ for Mass times and Churches. More details will be announced at Masses. Although the money is payable at the door, we would like a head count for food. or by completing a form and leaving it on the back tables after Mass. 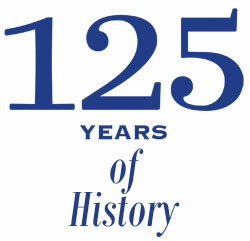 St. Bridget Parish will celebrate 125 years of the presence of the Sisters of St. Joseph on Sunday, September 8, 2013 during the 11 o’clock Mass. Refreshments and conversation will follow Mass. Please spread the word to family, friends, and alumni. This month the Food for Thought section of the website contains a reflection on Saints among us. There is an important meeting of all parents of children in our Parish Religious Education Program on Sunday, September 8 at 1 pm in church. At least one parent from every family is expected to attend. If any family will have a first grade student or any new student in another grade this September, please contact Sister Margaret Jude before September 6, 2013. 215-844-4126 ext. 103 or smargaret@stbridgeteastfalls.org. Rite of Christian Initiation Adult, RCIA, classes will begin Wednesday, September 25th at 7:00 p.m., at St. Bridget’s. Classes last approximately one hour each week. RCIA reviews the basic beliefs of the Catholic Church and is designed for adults interested in becoming members of the Catholic Church. Participants also include adults raised as Catholics who have not received the Sacrament of Baptism, Confirmation, Reconciliation, or Holy Eucharist. If you have any questions about the RCIA program, please call Tony Wzorek at 215-844-7746, Sister Margaret at 215-844-4126 ext 103, or simply come to the first meeting. If you call, please leave your name and a phone number at which you can be reached. Casserole pans for St. John’s Hospice will be available on August 24/25. Pans can be delivered on Sunday, Sept. 1st from 9 am until noon. St. John’s will pick them up on Wed. Sept. 4. Do you ever wonder where the casseroles you make go? Take a look at this article from PHAITH magazine, the new online version of the Catholic Standard and Times, to see what a difference your casseroles are making on lives at St. John’s Hospice. Two pages are added under the Parish Life and News drop down menu on our website. The event will be here before you know it, start securing babysitters now! Please join us for this great night out celebrating Saint Bridget’s Parish and honoring our Parishioners.